Always looking to add fiber to my breads, here is my easy no knead bread made with ten grain cereal. I use dry cereal and soften it for 15 minutes with boiling water and then put the dough together with even more fiber, adding whole wheat flour, bread flour, and rolled oats. I use Bob’s Red Mill 10 Grain Cereal and instead of cooking it, I just soften it with boiling water for a few minutes. 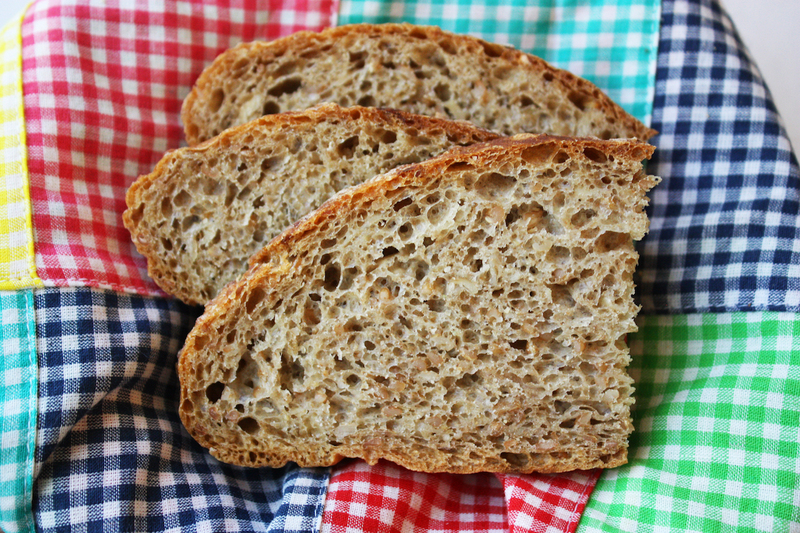 15 Comments on "Ten Grain No Knead Bread"
When making 10 Grain Bread, do you aerate both the white bread flour and whole wheat flour as you did when you made white bread? The recipe didn’t say to aerate so I’m incline to think you don’t. Please advise. Just found my answer to aerating the bread. It’s on the very top of the recipe. Can you substitute Bob’s Red Mill 5 Grain Cereal? My store doesn’t have the 10 grain. Thank you! I have never used it but it seems to me it would work the same. It looks so great but I can’t find your presentation on my my computer.. It was there but is gone. Jenny, can you use this recipe with your quicker no knead bread technique? This is now my favorite no knead recipe, and I have two e-books of them! I double it and bake a large loaf in a 7 QT oval slow cooker liner w/glass lid (Remove plastic handle on lid!). I also add sunflower seeds and broken flax seeds (slight grind) to give it a little extra crunch and nutty flavor. P.S. The instructions are slightly ambiguous at the beginning of step #6. I assume you mean to proof the dough for one hour and twenty five minutes and are suggesting to start preheating oven at the one hour point. It was hard to make this clear but the dough only rests for one hour. During the hour, you preheat the oven (after 25 minutes of the resting time) and you put the bread in to bake after one hour of resting. I hope that helps. Your version sounds really good! …just wondering about the parchment paper. Do you have to fold it a lot to get it to fit the bowl? This is our new “wonder” bread! The crust is crispy and chewy with lovely crumb. It’s one of the many “Jenny Jones” recipes we have made. We’ve even started drinking white and green teas — Ala Jenny. Thank you, Jenny, for your generosity. YumYumYum. This bread is delicious! I let it rise almost 24 hours (you did say 10-12 or more, right? ), then baked in a terra cotta apple baker. It looked a bit small in there, and it does make a smaller loaf than i expected, but after looking at your photo, it is just as expected. Crusty, very tasty with all the grains, and delicious! Must admit i did slather on a pat or two of butter! 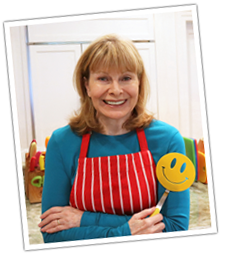 Thanks, Jenny for your entertaining & good for us recipes! Want to try this recipe. Just wondering about no oil or shortening or sugar/honey. To Arv – Follow the recipe as is — you will not be disappointed. Our bread proofed for 18 hours.